Gosh it has been a while since my last post. I hadn't realised it had been so long. In the past few weeks I have been playing around with husking using a quilling comb after I discovered a couple of tutorials on you tube. After looking at several blogs around the net on the subject I made this card. I didn't have a quilling comb so decided to make myself one with cocktail sticks and some corrugated card, I have to say it works a treat. 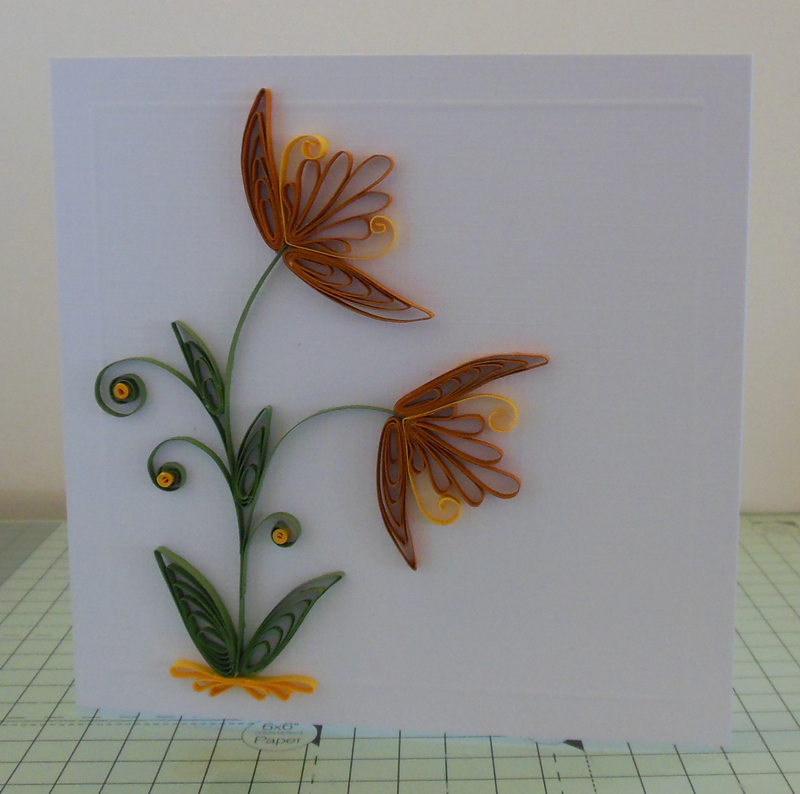 Here are another couple of cards I have been making with my new quilling tool. 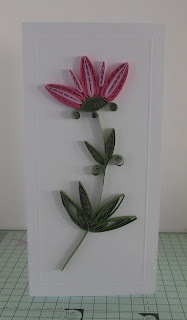 Quilling is not normally a technique I like doing but I have to say I really did enjoy making these cards. I didn't have any quilling papers so I cut up bazzil basics papers instead. It can be a bit too thick for some projects I guess but for these it worked just fine. Well that's all for now . I'll try not to leave it so long before I post again. Thanks for stopping by. These are gorgeous cards. Love them. 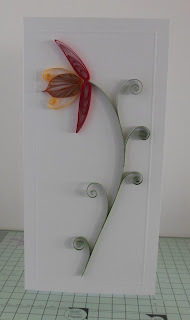 I've never heard of a quilling comb before, but had a look on youtube and watched the video. I think this is something that I will have a go at. 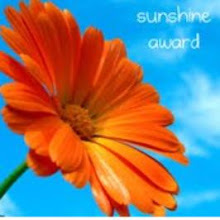 Thanks, you have inspired me. 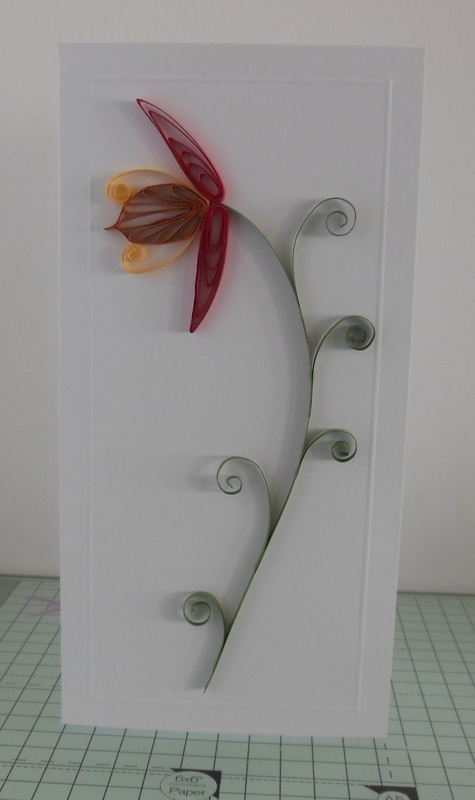 My first quilled Christmas card.